Produktinformationen "ONE-12 COLLECTIVE MARVEL THOR RAGNAROK GLADIATOR HULK ACTIONFIGUR"
The One:12 Collective Ragnarok Hulk figure captures both the character's uniquely massive physique and his richly detailed costume. 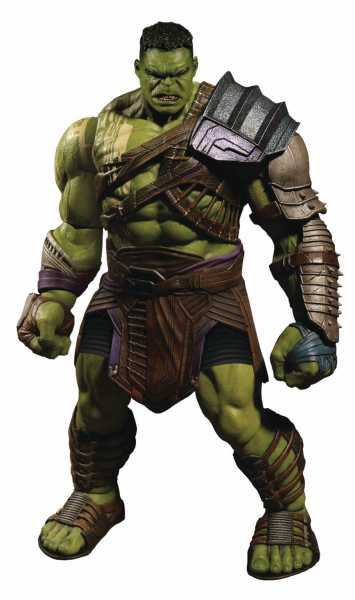 Because of Hulk's larger than life presence he is made with a newly created One:12 Collective body. In addition to spiked battle axe and war maul, he features a crested helmet permanently affixed to his second head portrait. Each One:12 Collective Ragnarok Hulk figure is packaged in a collector friendly box, designed with collectors in mind there are no twist ties for easy in and out of package display. 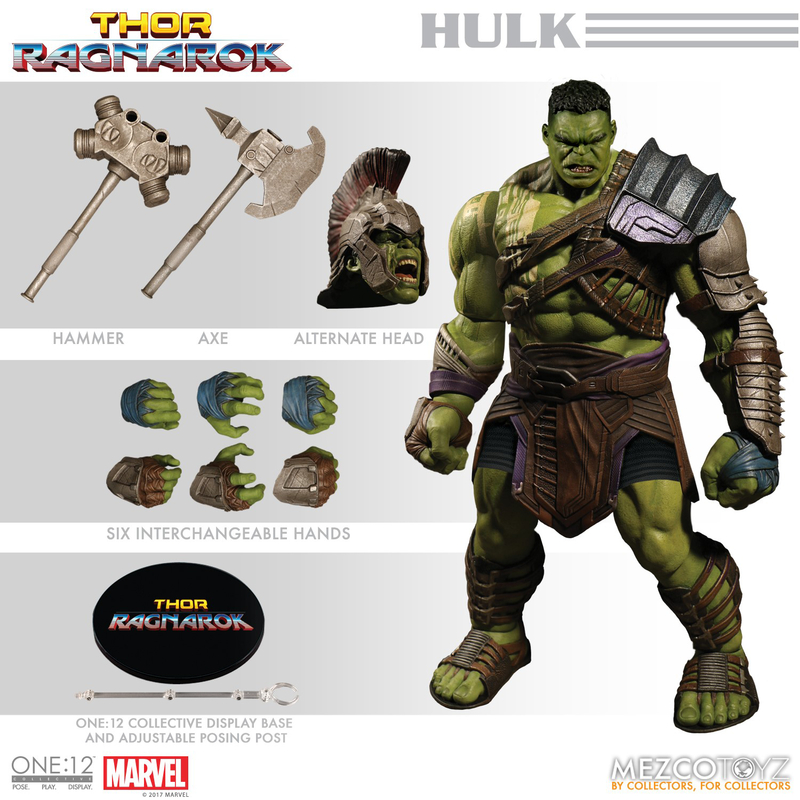 Weiterführende Links zu "ONE-12 COLLECTIVE MARVEL THOR RAGNAROK GLADIATOR HULK ACTIONFIGUR"
Kundenbewertungen für "ONE-12 COLLECTIVE MARVEL THOR RAGNAROK GLADIATOR HULK ACTIONFIGUR"